On Wednesday, April 2nd, the union that represents Teaching Assistants at UC Santa Cruz (UCSC) went on strike to protest ongoing harassment of campus workers both at UCSC and at other campuses across the state. In the past few months administrators have threatened students who have international visas, unlawfully videotaped protestors, and falsely claimed that legally sanctioned strikes are illegal, thereby intimidating students who would otherwise stand up for their peers’ and TAs’ rights. Early in the morning on Wednesday, riot police that had been shipped in from Berkeley for the unambiguous purpose of crushing today’s protest cracked down on union members and their undergraduate supporters without legitimate cause. 19 union members and students were arrested. They spent 10 hours in jail on trumped up charges that have not been dropped. On Thursday morning, 2 more students were arrested under the purview of UCSC’s Executive Vice Chancellor, Allison Galloway. UCSC Committee for Justice in Palestine (CJP) is outraged that UCSC administrators would sanction such a blatant attack on our rights. UC management has stonewalled and blocked every effort, no matter how miniscule, by students and workers to improve their lot, in hopes of stalling and ultimately quashing any attempts by students and workers to take their fates into their own hands. We refuse to be sidetracked by these machinations. Today has unmasked the UCSC administrators for what they truly are. They will stoop to any level in order to achieve their goals. These goals are clear—the administration wants to intensify its exploitation of workers on campus and decrease educational services to students while extracting more and more profit from them. As students who have faced repression by the UC administration in the past, we stand in solidarity with workers currently on strike. As members of the UCSC community we are enmeshed in a system that perpetuates the exploitation of students and workers not just here at UCSC but also in the Middle East, due to the University of California’s political and financial policies. CJP condemns UCSC’s decision to break a legal strike by force. We support our fellow students and TAs in their efforts to secure a better future for themselves. Another rally will take place Thursday at noon. We strongly urge our allies to come join us on the picket line. 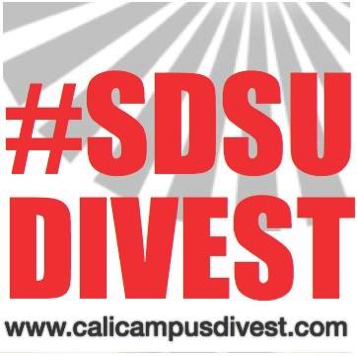 It is important to show UCSC and other UCs statewide that intimidation tactics will not deter us.